The u-ring N 05 is produced in a compact design which guarantees good functioning at low pressures. The N 05 has a symmetrical design that allows application as a piston and rod seal. 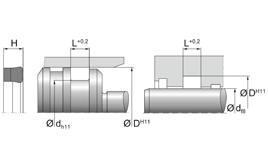 The N 05 seal requires relatively small installation housings. 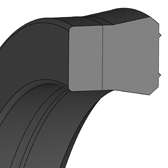 Due to the compact fabric back, intrusion into the extrusion gap is prevented.